Welcome to the website of the North Florida Alumni Association of the Phi Kappa Psi Fraternity. The National Executive Director, Mark Guidi, has informed us that the Executive Council, on Tuesday evening, April 26, 2016, unanimously approved our Petition for a Charter that establishes the North Florida Alumni Association of the Phi Kappa Psi Fraternity. We are all excited about being the newest Alumni Association of the Phi Kappa Psi Fraternity. Our Charter Class contained 30 Brothers. We would like all Phi Psi Alumni in the North Florida area to join our ‘Band of Brothers’. 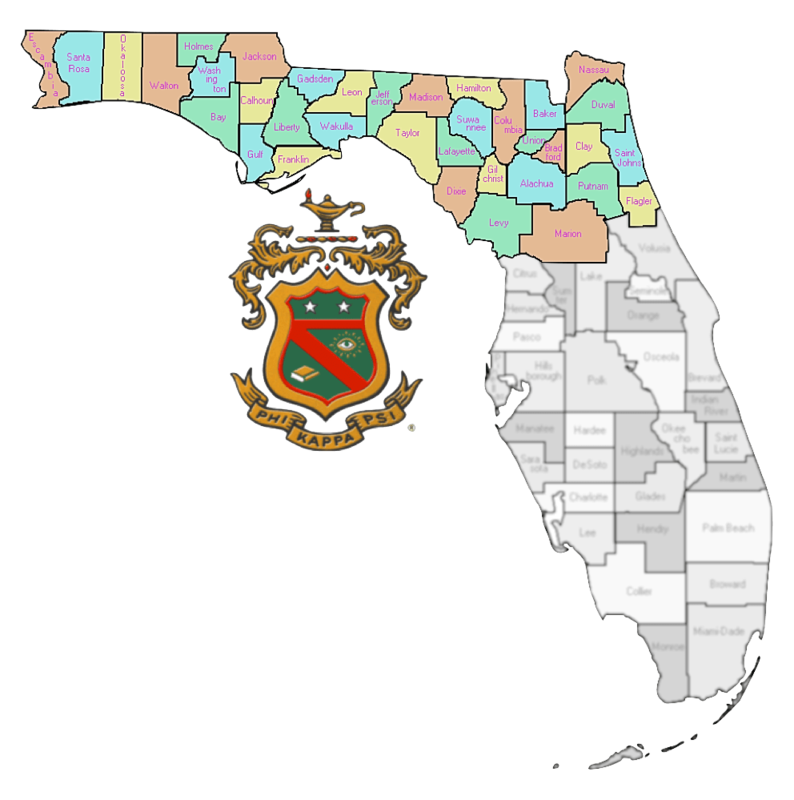 We have Kansas Alpha, Indiana Alpha, Indiana Beta, Ohio Delta and Alabama Alpha represented already, in addition to Florida Alpha and Florida Beta. If you would like to be a member, please go to the link below, download, print and complete the form. Please also include your phone number. Then, please sign and scan the completed form, and email to the website address shown under ‘Contact Us’. If you want to use the US Postal Service, there is a PO BOX address also. Please click on ‘Contact Us’ for our email address and physical US Mail PO BOX address.